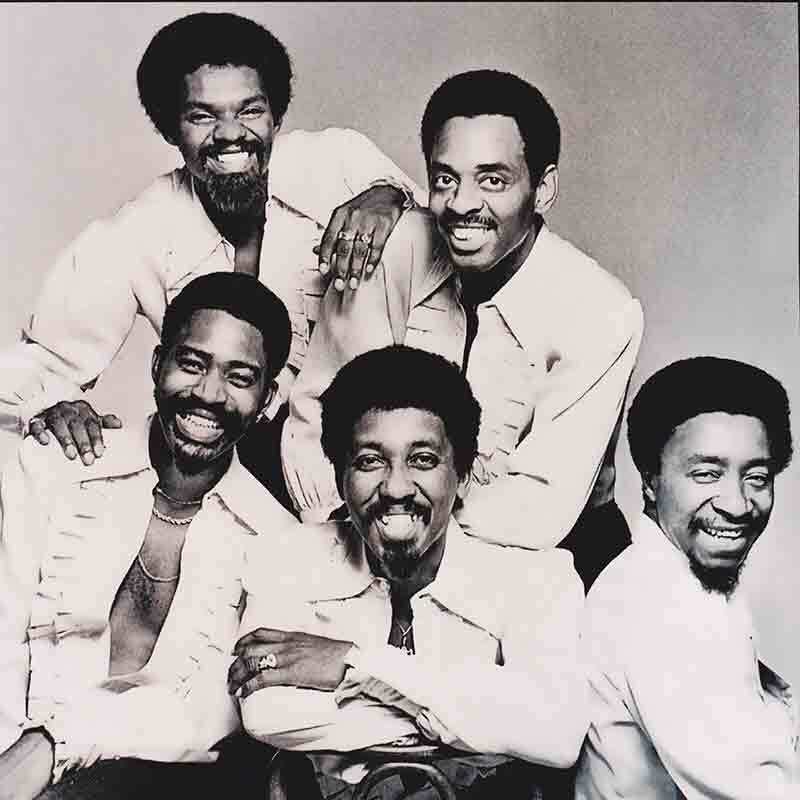 Disco�s most soulful vocal group was formed by Earl Young and his partners Ron Baker and Norman Harris. In 1971, Neil Bogart signed the group to Buddah Records. Their first release was a snappy revival of Judy Garland�s '40s tune "Zing Went the String s of My Heart." It was their first chart single, reaching No. 17 on the R&B list in 1972. Between 1972 and 1975 they moved from Buddah Records to Philadelphia International and then settled at Atlantic Records, where they had several album releases. The first, That�s Where the Happy People Go, earned them several Billboard awards in 1976. The next album, Disco Inferno, went gold, and the single earned them a Grammy for the Saturday Night Fever soundtrack, climbing to No. 11 on Billboard�s Hot 100 chart. The group has a reputation for being boisterous and jubilant with their harmonies and sound. They rock the audiences around the world, including the Greek Theatre, Madison Square Garden, and various casinos in Atlantic City, Las Vegas, Foxwoods and Mohegan Sun. "Disco Inferno" can be found on several compilation albums. It has been included in countless motion pictures, such as Kingpin, Mystery Men, Ghostbusters, The Bubble Boy and The Tuxedo. It has also been recorded by Tina Turner and Cyndi Lauper, and has made its way to TV commercials and TV shows.